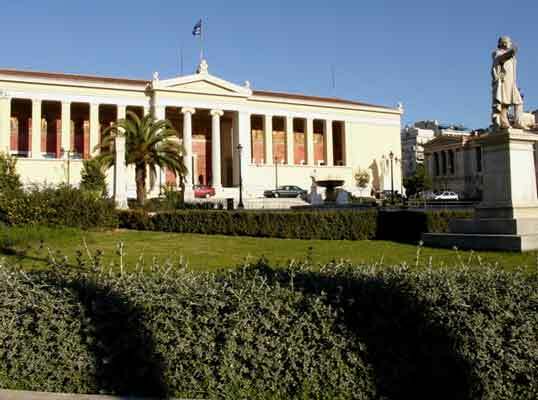 The National and Kapodistrian University of Athens (UoA) is the largest state institution of higher learning in Greece, and among the largest universities in Europe. It is progressively succeeding to benefit from its property and legacies, as well as from the funding of research projects with national and international partners. All funds are invested into the management and operation of educational, research and cultural programmes, into student and staff services and grants. With a student body of about 125,000 undergraduate and postgraduate students, over 2.000 members of academic staff and approximately 1.300 administrative and secretarial staff and specialized personnel, the UoA aims at excellence in both teaching and research in a significantly varied range of disciplines. The Faculties and their respective Departments, functioning within the 8 larger academic units entitled Schools, as well as a number of independent Faculties offer a wide range of undergraduate courses, leading to a Diploma equivalent to a Bachelor of Arts or Sciences degree, after a minimum of four years of studies. Moreover, intra- and inter-Departmental programmes offer an expanding range of taught and research-based postgraduate degrees. The Nursing School of Athens (the leader partner of this proposed project) was first established in 1979 with a four-year study program in the School of Medicine of the National and Kapodistrian University of Athens and its first opening was at the academic year 1980-81. With a student body of about 2000 undergraduate and postgraduate students, over 40 members of academic personnel and approximately 21 administrative and secretarial staff (distributed in 5 divisions: Basic Science Division, Division of Internal Medicine-Nursing, Division of Surgical-Nursing, Division of Public Health and Division of Psychiatric Health and Science of Behavior), it aims at the spherical education of scientific nurses as its sublets of theoretical and practical education refer to the prevention, treatment and rehabilitation of the healthy or ill people, their family and their community, in an undergraduate and postgraduate level. It also comprises the following Laboratories (among others) which produce significant research activity in Greek and European level concerning the necessary skills that nursing professionals should master (Nursing Skills' Laboratory, Laboratory of Prevention, Health Informatics Laboratory, Center for Health Services Management and Evaluation and the Laboratory of Community Health Nursing). 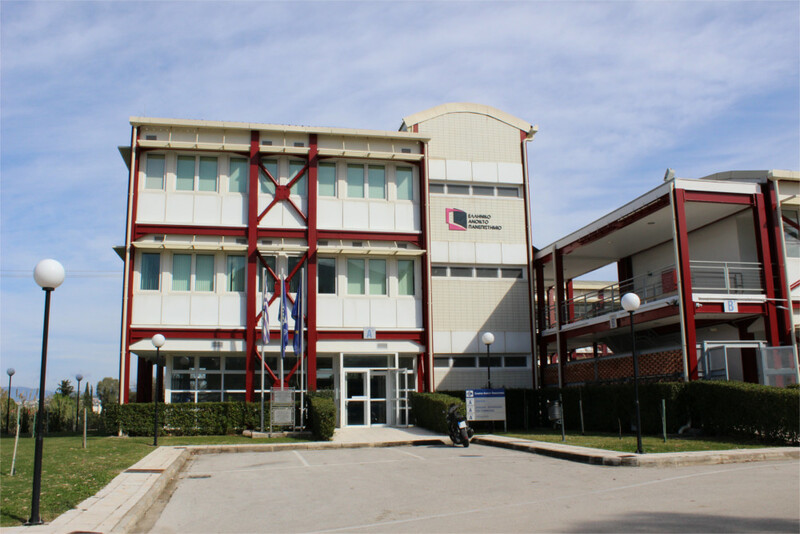 Hellenic Open University (HOU) is a Public University founded by the Greek Government in 1992 and fully operational since 1997. HOU comprises of 4 Schools and offers 31 programs of study to about 35000 adult students, who are dispersed all over the country. It is the only Greek University that uses the distance learning methodology combined with the principles of adult education. About 80% of its students are working professionals who seek a further education degree in order to improve or change their career. Through its Schools and Laboratories, HOU applies educational, methodological and technological innovation in distance learning and educational content development. In addition, it pursues Research and Innovation activities and participates in national and international consortia and networks of excellence. Development or application of modern Information and Communication Technologies (IST) applications to support education, course management systems, including personalized learning environments, peer learning platforms, etc. HOU applies the ISO 9001:2008 quality system. ERGASIA EKPEDEFTIKI L.T.D. is a Vocational Training and Lifelong Learning Center at national range, offering extensive experience in providing training services and career & business counseling. Our Center is certified by the National Certification Agency for Qualifications and Career Guidance (former EKEPIS) with very good ranking for vocational training in Greece based on the evaluation of the Ministry of Education. The company has trained - to date - more than 10,000 people across Greece, performing more than 2,000,000 man-hours of training programs in almost all business sectors (Tourism, Information Technology, Finance & Administration, Technical Professions, Manufacturing, Transportation, Health & Welfare, Agriculture professions, Environment, Pedagogic, and Culture & Sport). ERGASIA EKPEDEFTIKI L.T.D. has a very wide network of partners, municipalities, NGO’s, Universities and research centers. Ergasia Ekpedeftiki guides its action in order to create competitive advantage for its trainees and to add value in each completed project, through the development and implementation of innovative systems for lifelong learning, and skills’ structure. The mission of Ergasia Ekpedeftiki Ltd, is to contribute to personal and professional development of its trainees, and hence to personal and professional well- being. Vocational training to unemployed, employees and self-employed. Career Counseling and support to unemployed and employees on issues such as exploring career interests and skills, professional orientation, connection with the labor market. Coordination, management and implementation of integrated projects and development programs related to Human Resources in the context of national and European initiatives. 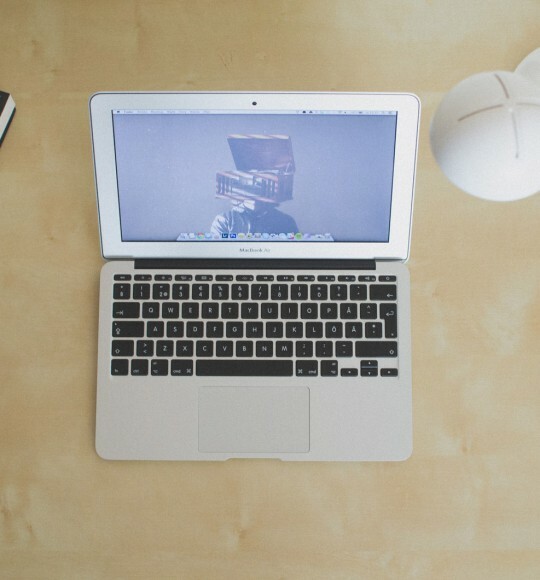 Studies and Research on Human Resources and Local Development. Support businesses in getting funding from national initiatives. 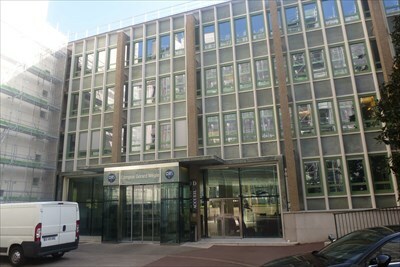 The Institute of Labor Economics and Industrial Sociology (LEST-UMR 7317) is a Joint Research Unit of the CNRS and of the Aix-Marseille University. It was founded in 1969. It employs 40 researchers from different academic disciplines (Economy, Sociology, Management, Political science and Law). They benefit from the support of 10 administrative and technical employees. 40 PhD students are also involved in the research programs. The Institute develops research on labor, employment, training programmes and innovation in the social sciences and humanities. A specific thematic axis is focused on the analysis of human resources management in healthcare organizations. The LEST is well recognized in the field of pluri-disciplinary research and international comparative works. The institute is engaged in several network and partnerships both at national and international levels. Since 2011, the LEST is a member of the Laboratoire d'Excellence, LabexMed, driven by the Maison Méditerranéenne des Sciences de l’Homme (MMSH), which associates 15 mixed units of researches of the Aix-Marseille University. In addition, the LEST is a member of two doctoral schools of the University (Economic Sciences and Management and Spaces, Cultures and Societies). The researchers participate actively in two Master Programmes of the Aix-Marseille University: “Sociology” and “Human Resources and Responsible Management of organizations”. The Unit participating in this project is very experienced in field work with VET organizations and patients' organizations as well as in the sector of migrants' skills, in health managers’ skills and of health in the workplace. 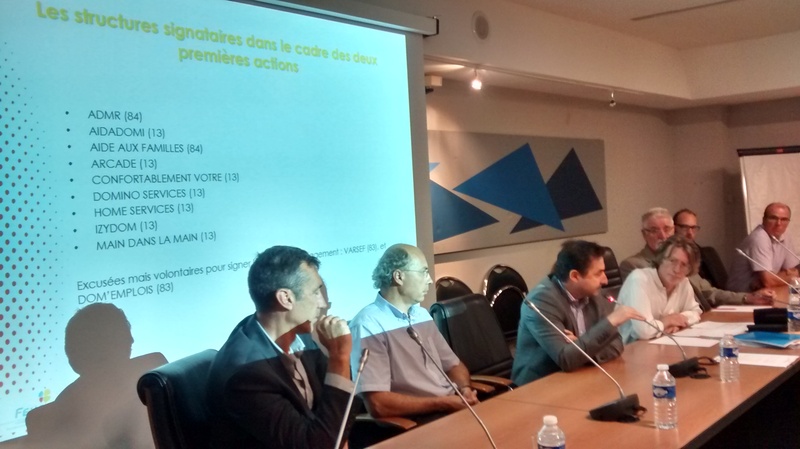 PÔLE SERVICES À LA PERSONNE PACA: The first professional network/cluster of home health care services in the Provence Alpes Côte d’Azur Region In January 2015: 156 member organisations representing 50% of the jobs provided by the accredited home care services within the Region. A centre of expertise: legislative and strategic monitoring, call for projects surveillance, production of professional guidebooks and financial management tools (dashboard), home health care services and training mappings, thematic working groups (human resources, innovation, coordination etc). A technical support: strategy, human resources, regulations applied to home health care services, management, funding applications, assessment tools. An opportunity to anticipate future evolutions: cooperation or merging with other organisations, coordination and partnership with the health sector, development of social and environmental responsibility, introduction of ICT, innovative housing projects. Created in January 2007, Pôle Services à la Personne gathers different organisations and services within the social and health sector from the Provence Alpes Côte d’Azur Region in order to work on an a coordinated health and care circuit for people living at home. OUC is the public University of Cyprus established in 2002 for open & distance education. Its educational methodology is blended learning combining face-to-face meetings (in Cyprus & Greece) with weekly online meetings & study of specially designed educational material, asynchronous & synchronous e-learning, in small groups with the tutoring of a faculty member. OUC offers ECTS-based courses to 4500 students: three (3) undergraduate degree programs of study, fourteen (16) Master’s & ten (10) PhD programs, employing nineteen (19) fulltime and three hundred and fifty (350) adjunct faculties. The OUC places great emphasis in research promoting programs, aiming not only towards the specific research areas of its faculty, but also towards development of methodologies and corresponding technologies for open and distance learning i.e. ODL, including educational methodology, modern OER technologies, instructional design & technology-enhanced learning. 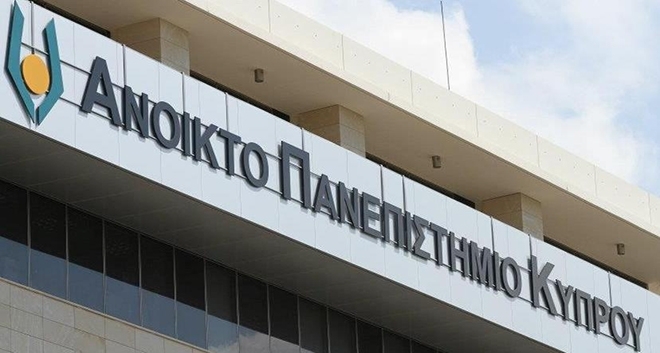 The Pancyprian Federation of Associations of Patients and Friends (POSPF) were founded in 1987, with headquarters in Nicosia. Until today, it counts 18 members of patient organizations representing thousands of members and patients all over Cyprus. The aim of POSPF is to be an “umbrella” organization, representing all the organizations of people with chronic diseases. 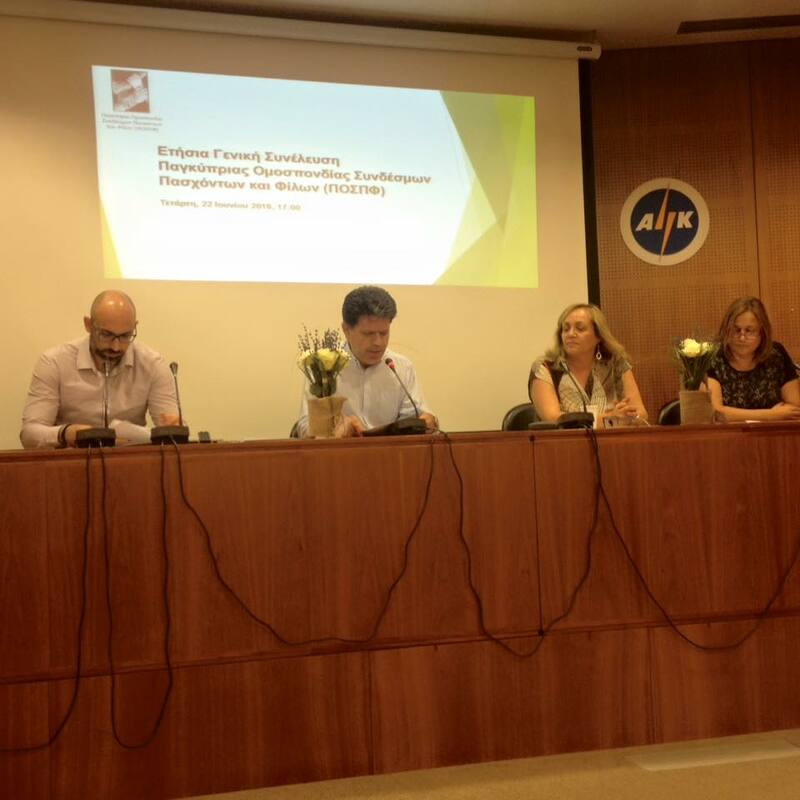 The POSFP is, also, a member of the European Patients Federation (EPF). Strengthening the Voice and the role and involvement of patients, in our community. Thus, the Federation cooperates and coordinates the actions of Association- members in order to promote their goals and solve their general problems and to ensure the best possible healthcare conditions, welfare and wellbeing of patients. Strengthening the knowledge and education of patients by public lectures, seminars or otherwise for the problems of people with chronic conditions and the need for their proper treatment. Supporting the patient links by developing social and other activities intended, directly or indirectly, to the welfare and well-being of patients and by cooperating with authorities and organizations, institutions and persons in Cyprus and abroad to promote the above objectives. Pancyprian Association of the Protection of Spastic and Handicapped Children-"Anemone"
Retesalute is an Italian Public Body and its associates are 25 local municipalities within Lecco Province (Lombardy Region). Its mission is to realize social welfare activities and the management of social services to individuals and families, including educational interventions, aimed at promoting the psycho-social well-being of all citizens and safeguarding every individual’s right to a decent standard of living. Its scope of work is to identify and address the real needs of vulnerable people - such as elderly people, disabled people, minors, migrants, and young people. Elderly people: services that allow elderly people to stay as long as possible at home supporting their families. Retesalute’s field of intervention is the district area consisting of 25 associated municipalities with a total population of 120.000 inhabitants.